Clematis viticella 'Kermesina' produces masses of lovely, small, deep wine-red flowers with dark purple centres from July to September. This marvellous variety is rarely offered by garden centres because although it is very generous in flowering when established in a garden, it is shy to get going so rarely blooms in a pot. 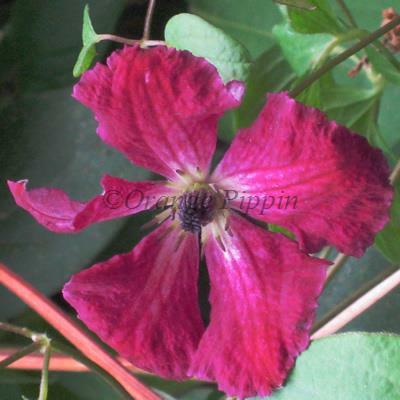 Clematis viticella 'Kermesina' was raised by Victor Lemoine of Nancy, France.